****This listing is for a Digital Pattern to be downloaded to your computer. You will NOT be receiving a printed pattern. As soon as your transaction is completed Easy will then provide you with your link to this pattern, you will then click on the link, and the pattern will be downloaded to your computer. You can also print this pattern out yourself if you so desire. Thank you for checking this out! I have been making doll bedding for years. I decided it was long overdue to come out with the basic pattern I have created in making the doll sheets and pillows that I make in my shop. When I was a little girl at church I would bring my dolls and throw a piece of fabric over them for their naps. As I got older my mother and grandmother taught me how to quilt and sew, and I began sewing little blankets and doll clothes for my dolls. This pattern is just an extension of what I love to do. If you can sew a straight line....that is all that is required! 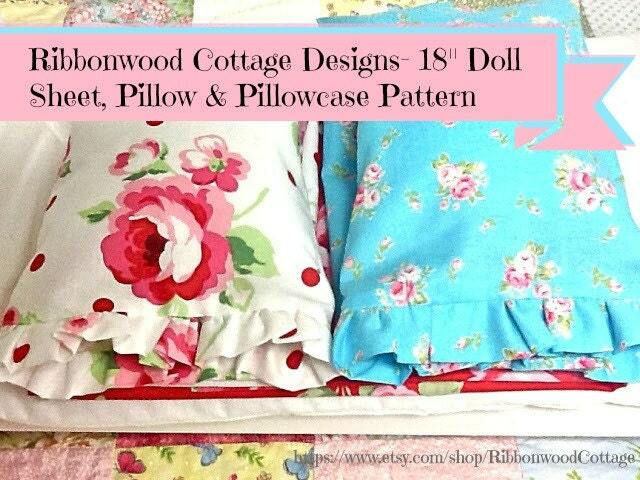 Use beautiful fabric, and make these sweet doll sheets for your doll beds. You can use the measurements of the sheets to cut out polyester fleece and make a coordinating blanket, or two! 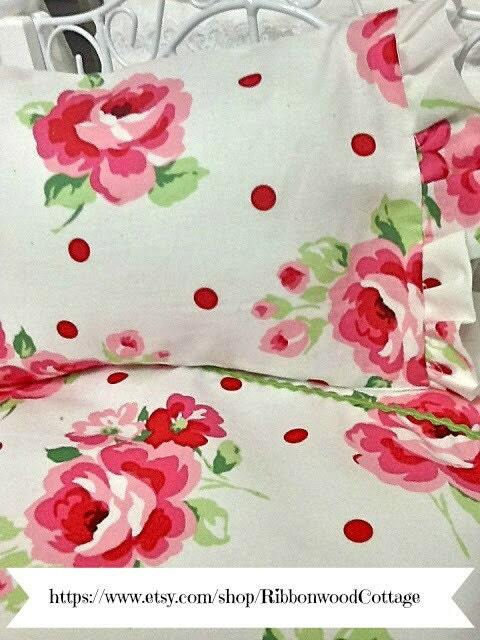 Doll bedding should be pretty. I have seen too many ugly doll blankets....and I ask why? hahaha...so this is to encourage you to make something memorable, sweet, pretty, fun for your little one, or maybe you have a vintage bed with vintage dolls that just needs some sprucing up and some new bedding. The directions are very easy, pictures show you the process, now all you have to do is just sew it! 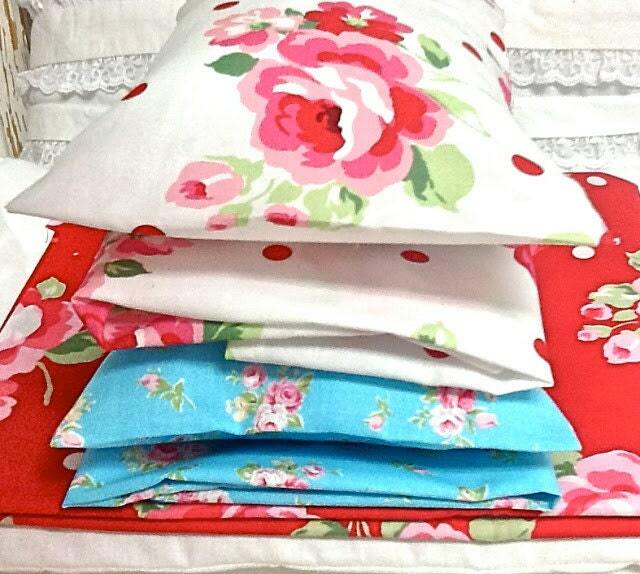 I've used beautiful fabric by Lecien quilt fabrics. Their Flower Sugar Line is gorgeous and sweet to look at. You could make solid sheets in every color for every season too. The possibilities are endless. I also have a ruffled comforter pattern and accent pillows here https://www.etsy.com/listing/213742540/pattern-american-girl-18-doll-comforter? 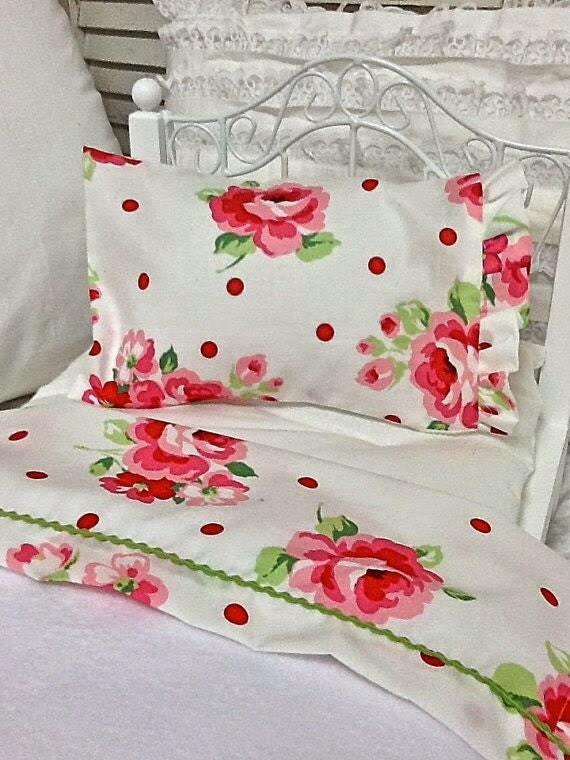 Be sure to follow me at Ribbonwoodcottage.com and sign up for my Ribbonwoodcottagedesigns VIP Newsletter. You'll receive free patterns and goodies throughout the different seasons and also get coupon codes no one else will get.